Is HMD Global's newest mid-range smartphone really any good? Here are our initial thoughts. 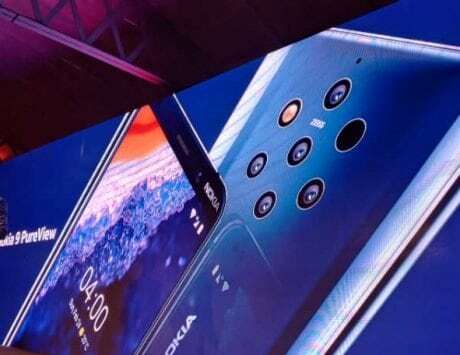 At an event yesterday in London, HMD Global unveiled the newest member of its ever-growing family of smartphones – the Nokia 7.1. Offering decent hardware at a fairly-reasonable price, the 7.1 also packs in a few nice extras, such as a vibrant display and a pretty good camera, which HMD Global thinks will give it an edge over the competition. However, even after that, the Nokia 7.1 looks and feels almost the same as its slightly more affordable sibling, the Nokia 6.1 Plus. Now, nobody’s saying that marginal upgrades are a bad thing. The idea is simple – you take a successful product, keep the basics (and all the usual stuff that works), throw in some additional features (hardware and/or software based) – and you’ve got a winner. That’s what Apple’s entire ‘S-series’ has been all about, and it has paid off spectacularly. 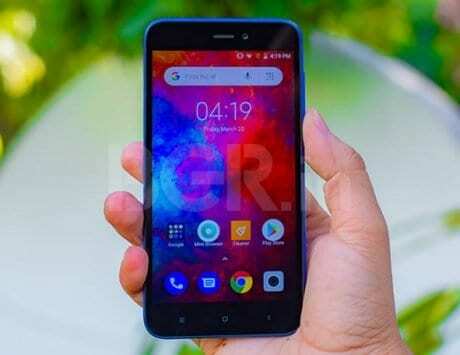 But can it work for the Nokia 7.1, a mid-ranger that has to carve a space for itself in an extremely-competitive market? Can it succeed in a market that’s getting increasingly crowded by the day? The truth is, it’s too early to say. That said, I had the chance to play around with some Nokia 7.1 prototypes for a few minutes at HMD Global’s pre-launch briefing, and that gave me a fair idea of what to expect from this smartphone when it launches in India, which could happen on October 11. 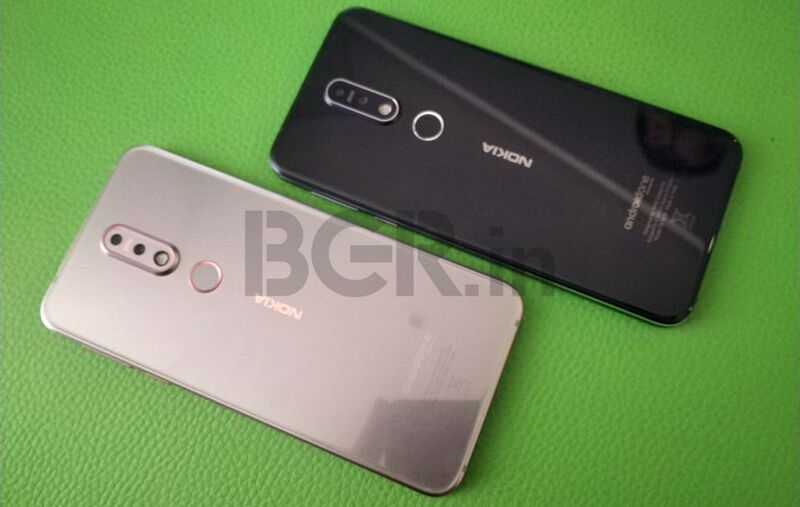 So, is the Nokia 7.1 something you should keep your eyes peeled for? Here are my first impressions. 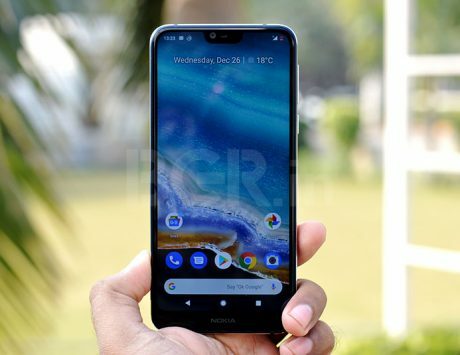 Crafted from glass and metal, the Nokia 7.1 follows the same underlying design language as the other members of HMD Global’s ‘X.1 Plus’ series. 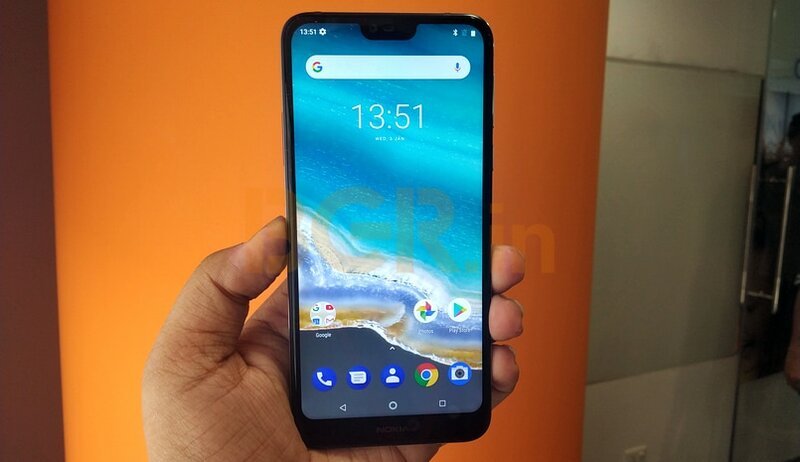 The front is all about the display (more on this later), which comes with a small (though not waterdrop-small) notch and a sizeable chin, with Nokia’s logo stamped in the center. 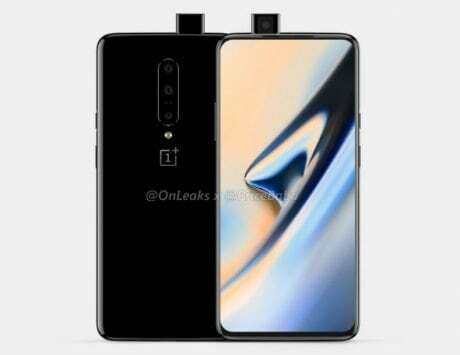 The notch houses the earpiece, selfie camera and the usual array of sensors, and the side bezels are fairly minimal. 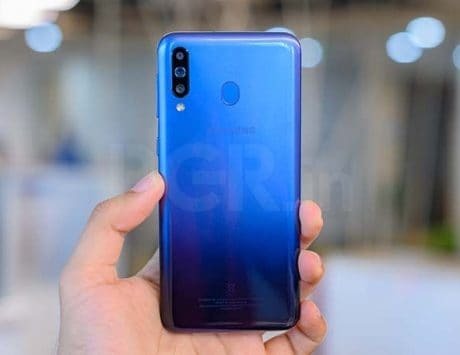 Coming to the rear, it’s glass too, but unlike the front, there’s no Gorilla Glass 3 here. The back is home to a pill-shaped camera module, with two vertically stacked sensors and an LED flash. Just below that is a circular fingerprint sensor, and a Nokia logo. The lower half of the rear panel has the Android One logo and some regulatory information stamped on it. Talking about Nokia 7.1’s frame, it’s all metal, made from anodized aluminum. The chamfered edges further accentuate the design. 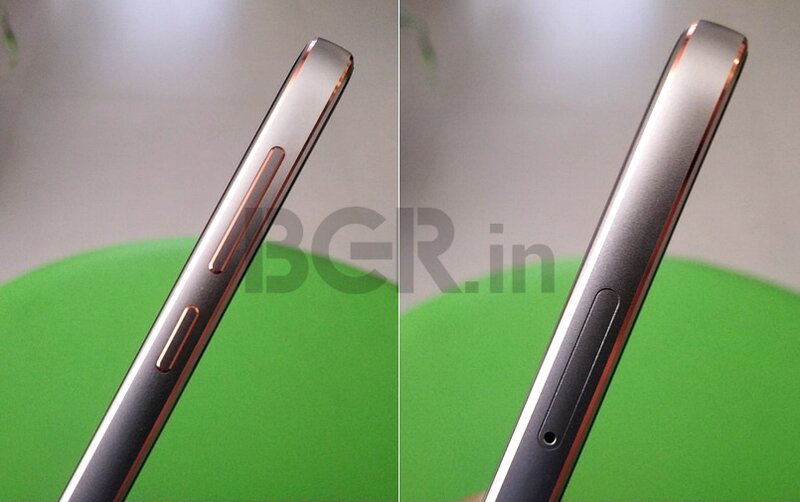 At the bottom, there’s a USB Type-C port and a single loudspeaker, while the top is home to a 3.5mm audio port. The hybrid dual-SIM/microSD tray sits on the left, while the power key and volume rocker are on the right. Overall, I found the aesthetics of Nokia 7.1 to be top-class. Having great build quality, the smartphone has a great in-hand feel too. However, you’ll most certainly need a case (or skin) to protect that fragile glass back. The first ‘highlight’ feature of Nokia 7.1 is the one that stares at you, the moment you power it on – display. 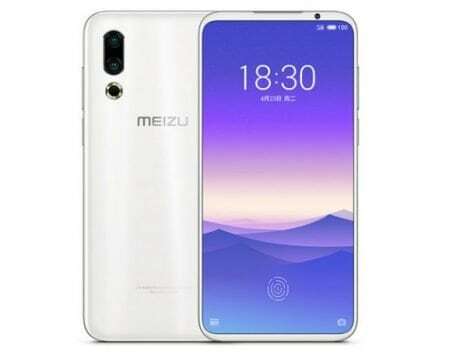 The smartphone has a 5.84-inch FullHD+ IPS LCD panel, with a resolution of 1080×2280 pixels and a 19:9 aspect ratio. While it may not sound too exciting, the new ‘PureDisplay’ panel is HDR10-compliant, promising enhanced contrast and more vibrant colors. The smartphone can also convert SDR content to HDR in real-time, thanks to a dedicated 16-bit engine. During my limited time, I couldn’t test out any HDR-enhanced content on Nokia 7.1. Having said that, the smartphone does have an HDR toggle under the display settings and turning it on did enhance the visuals on the screen, even if a bit. We’ll be able to test out the HDR display only during our full review run. Other display parameters, however, were on point. Color reproduction was good, and viewing angles were more than decent. Maximum brightness was also more than adequate, although I couldn’t test sunlight legibility. Powering Nokia 7.1 is Qualcomm’s popular Snapdragon 636 SoC, paired with 3GB/4GB of RAM and 32GB/64GB of internal storage. Honestly, I was surprised (and a tad disappointed) with the chipset, as I was expecting a Snapdragon 710 (or at least a Snapdragon 660, which the Nokia 7 Plus has). HMD Global justified the choice saying that the SoC provides the best balance of performance and battery life. 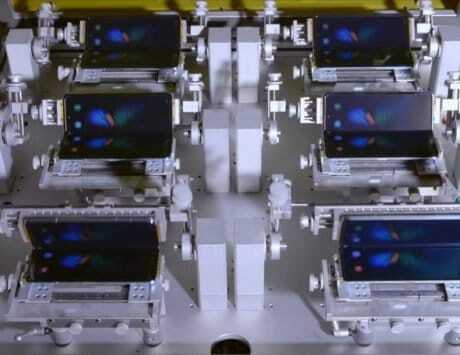 Of course, there’s more to a smartphone’s performance than the chipset it uses. There are a lot of factors at play, such as system-level optimizations. As such, I found the Nokia 7.1 to be perfectly snappy during the few minutes I used it. Apps (including camera) launched quickly, and multi-tasking was fine too. Considering that it was a pre-production unit, I’d say that’s a good thing! Perhaps the biggest reason behind Nokia 7.1’s zippiness is its clean software. Like most HMD Global smartphones, this device is Android One-certified. This means that you get stock Android, which means that there are no unnecessary apps and tools on the device. 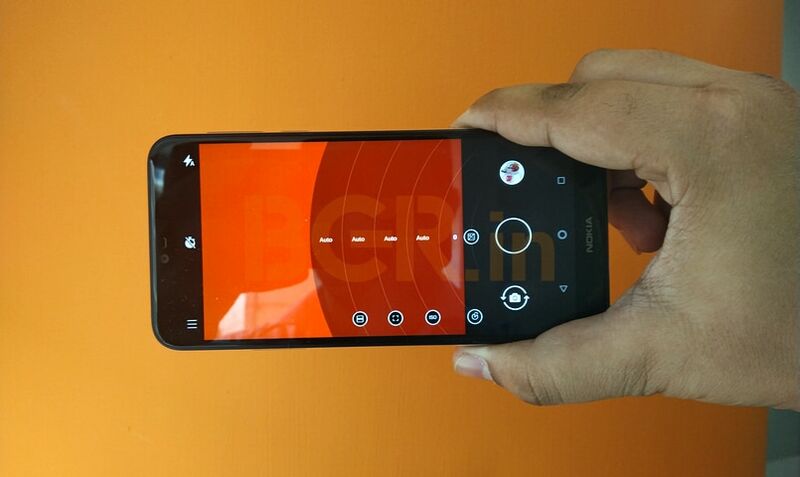 The only ‘non-stock’ app on-board the 7.1 is Nokia camera. 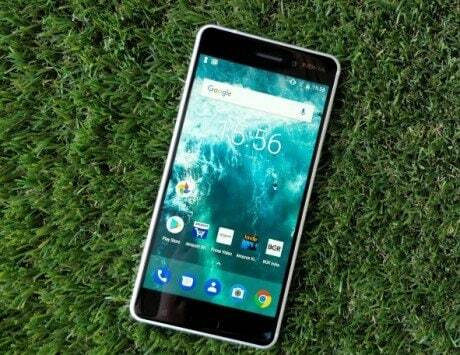 Out-of-the-box, the Nokia 7.1 runs Android Oreo. That may sound disappointing, but HMD Global has been pretty consistent with updates, and Android Pie for the 7.1 is set to arrive very soon. Even better, Android One means you’ll get two major OS updates and (at least) three years of security updates. The next standout feature of Nokia 7.1 are its cameras. 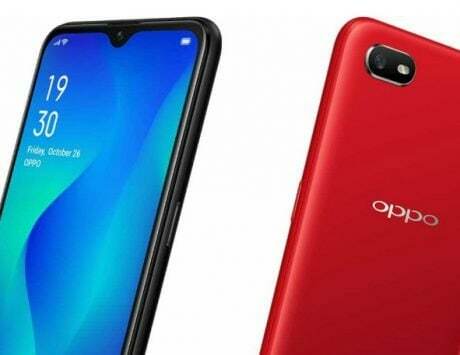 At the back, the smartphone has a dual-camera system, comprised of 12-megapixel (f/1.8) sensor and a 5-megapixel (f/2.4) sensor. 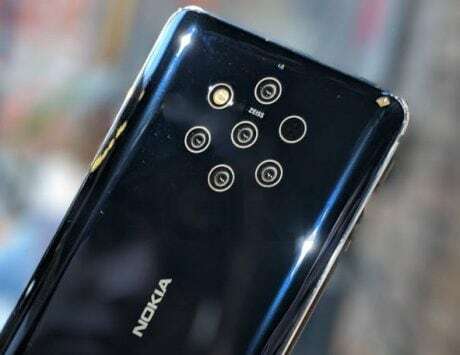 Continuing a partnership that harkens back to the glorious days of the N-series and the Lumia series, the rear cameras on the Nokia 7.1 feature ZEISS optics. I took some quick shots with the 7.1, and they came out to be more than good. The camera app itself features Nokia’s popular ‘Pro’ mode, which allows everything from ISO values to White Balance to be fine-tuned. Adding all this, I’m confident the 7.1 will offer a great (for the price) camera experience. Keeping up with the trends, the 8-megapixel (f/2.2) selfie camera on the 7.1 is AI-enhanced. You also get ‘3D Personas’, Nokia’s own version of the Animoji ‘feature’ that Apple kickstarted. If those are for you, you’ll be happy with this device. If not, feel free to ignore them. Nokia 7.1 lets you capture ‘Bothies’ using the front and rear cameras simultaneously, a feature that has been around for a while. These can be both still shots and videos, with the latter being able to be live streamed directly to Facebook and YouTube. The Nokia 7.1 has a 3,060mAh battery with fast-charging support. It seems adequate, but we’ll only be able to test its endurance during our comprehensive review routine. Even though it looks like that, I’d say that Nokia 7.1 is more than just a Nokia 6.1 Plus with some extra oomph. That HDR display sure is promising, and I have good vibes about the camera experience. The hardware may seem underpowered, but it works well, for the most part. Then there’s Android One, which is always a good thing. The pricing, however, is a different story. Nokia 7.1 has a base price of 299 Euros, which is alright for European markets. However, it translates to about Rs 25,000 in India. If launched in India at that price, the 7.1 is going to be a very tough sell in the country. I believe that the India pricing of the smartphone will be a key factor in deciding its success in the country.